The Samsung SCX-300WM Wall Mount Bracket (White) allows you to wall mount the PTZ range dome cameras. With aluminum construction, it provides additional strength and durability. The mount bracket can be used for indoor/outdoor environments. 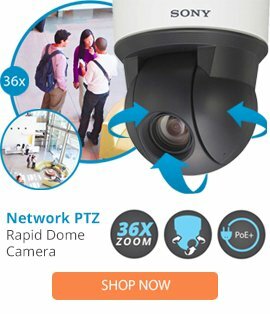 It is for use with SCC-C7455, SCC-C7413, SCP-2120, SCP-3120V, SCP-3120VH, SCC-C6437 and SCC-C6413 PTZ cameras and has a white finish.